The SRLS is an ArtsBuild Community Arts Partner. Guitar explorer Nels Cline is best known these days as the lead guitarist in the band Wilco. His recording and performing career – spanning jazz, rock, punk and experimental – is well into its fourth decade, with over 200 recordings, including at least 30 for which he is leader. Cline has received many accolades including Rolling Stone anointing him as both one of 20 “new guitar gods” and one of the top 100 guitarists of all time. Beyond Wilco, Cline performs with jazz guitar prodigy Julian Lage, The Nels Cline Four (with Lage plus bassist Scott Colley and drummer Tom Rainey) and CUP (a duo with wife and musical collaborator Yuka Honda of Cibo Matto) and leads The Nels Cline Singers (featuring Scott Amendola, bassist Trevor Dunn and Cyro Baptista). Saxophonist Larry Ochs is best known as a founder of the Rova Sax Quartet, a San Francisco institution that focused right from the start on the application of improvisational strategies within the context of contemporary compositions, beginning in the late 1970s and continuing right up to the present day; 40 years old in 2018. Equally inspired by modernist 20th century composition and the more worldly, abrasive strands of 60s free jazz as well as by fellow pioneers around the globe, Rova and Ochs became widely celebrated for the lengths they would go to stretch the performance parameters of notated music through early collaborations with Henry Kaiser, Anthony Braxton, and John Zorn. Ochs connection with Cline began in the late 1990s and culminated with the Celestial Septet, a band comprised of both Rova and The Nels Cline Singers. Drummer Gerald Cleaver is a product of Detroit’s rich music tradition. Inspired by his father, drummer John Cleaver, he began playing at an early age and, as a teenager, gained invaluable experience playing with Detroit jazz masters Ali Muhammad Jackson, Lamont Hamilton, Earl Van Riper and Pancho Hagood. After serving as assistant professor of Jazz Studies at the University of Michigan and joining the jazz faculty at Michigan State University, he moved to New York in 2002. He has performed or recorded with Roscoe Mitchell, Matt Shipp, William Parker, Craig Taborn, Charles Gayle, Jeremy Pelt, Tomasz Stanko, Charles Lloyd and Miroslav Vitous, among others. Cleaver has released four recordings as a leader and leads the bands Black Host and Uncle June. "I think Gerald Cleaver is one of the greatest drummers in jazz history"
This 2-day showcase features headliners Geologist (from Animal Collective) making his Chattanooga debut and the intense Los Angeles duo Pedestrian Deposit plus a diverse assortment of regional and local talent, from pop and funk to noise and provocative theatrics. Geologist (Brian Weitz) is a member of the popular and acclaimed experimental pop band Animal Collective, where his duties consist of sound manipulation and sampling. Animal Collective's 2009 album "Merriweather Post Pavilion" was named best album of 2009 by Spin, Pitchfork, Entertainment Weekly and others. Superbody (Chattanooga): green-screen new-wave pop from Adult Swim star Robert Gregg McCurry II. Meinschaft: a perpetual vortex of ritual energy and concentrated spectacle. GMO Sharia Law (Cleveland, TN): radical pop deconstructions taken to ecstatic extremes. Pedestrian Deposit (Los Angeles): Reverse tension, abrasive composition. The duo of Shannon A. Kennedy and Jonathan Borges is best described as visceral and narrative, informed by elements of experimental sound, harsh noise, musique concrete, neo-classical, dark ambiance and performance art but is not beholden to any one genre. Tryezz (Chattanooga) calls his style of music "Scenic Groove," a mix of jazz, funk and dance music intended to take listeners to amazing and incredible places straight out of his dreams. Alex Hampshire (Savannah, GA) is an American poet, b. 1985. David Greenberger, a Grand Central Art Center (GCAC) artist-in-residence, was invited to create a new work drawn from Santa Ana's richly diverse elderly population. He developed text based on his dozens of recorded conversations that took place at the Santa Ana Senior Center, Tustin Senior Center, Heninger Village, Flower Terrace Apartments, and Bowers Museum. Working with Prime Lense, the Chattanooga-based ensemble, they went into the studio in the spring of 2018, collaborating to create "It Happened to Me." David Greenberger has been exploring the nature of conversation and unique, often ignored voices since 1979. Originally focused on aspects of aging, his work has grown to include individuals living outside of or on the fringes of much of society’s awareness. These books, recordings and performances underscore the dignity in what can be ordinary or even fragmented stories and anecdotes—all rich with a conversational voice. He continues to be a keynote speaker at universities, museums and conferences on aging. Pitchfork magazine called Tyson Rogers a “wayfaring keyboard wrangler” for his multi-faceted abilities as a recording and touring musician. Tyson toured extensively with bluesman Tony Joe White and country legend Don Williams, playing on his Grammy nominated duet with Alison Krauss, “I Just Come Here for the Music.” Tyson’s original music has been featured by National Geographic, The North Face, and Tom’s Shoes. His recordings have received critical acclaim, earning “Best CDs of the Year” by Downbeat magazine and others. 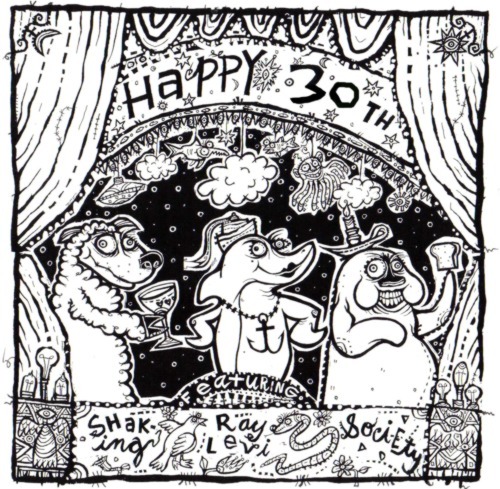 The Shaking Ray Levi Society celebrates thirty years of extraordinary and challenging music and art in Chattanooga and beyond. It is with our deepest sorrow at the Shaking Ray Levi Society that we have learned of the passing of Rev. Terry Fugate on February 13, 2015, who was the first treasurer of the Shaking Ray Levi Society and a co-founder. We will have strong memories of Terry's infinite kindness, great musical talents, intelligence and rare insight. 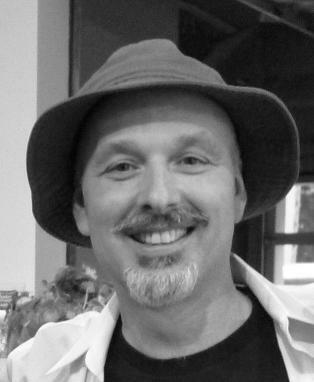 Terry is a former pastor of St. James Lutheran Church in Brunswick, Georgia and an early member of the Shaking Ray Levis performing group. The Shaking Ray Levi Society is greatly saddened by the loss of Julian Ray Norwood on February 16, 2014, who was a co-founder and the first president of The Shaking Ray Levi Society. Julian will be remembered for his remarkable energy and passion for the arts, generosity, and persistence to challenge the SRLS and others in meaningful, illuminating ways. Adeline is a 6th grader at Dawn School with severe depression and learning disabilities. She’s a delicate, soft spoken young lady who rarely talks above a whisper and remains part of the woodwork in most classes. Our workshop included architectural city shapes and their sound wave counterparts. Adeline created wave forms using two Moog devices, one for constant sound, the other for tone manipulation: vibrato, tempo, rate, pitch, and frequency. The result was a dynamic shift in her mood as she turned each dial to a new setting to match our cityscape of over 15 models. Her smile showed pure joy as she retained the concept and gained control of understanding wave/sound shape and an architectural shape. Victor is 6th grader at Dawn School with Autism. His speech therapist felt our project would be ideal to encourage speech. After our 1st week, it was clear he would retain the exercises and gain confidence. Victor’s mother has remarked how excited her son was to be a valued group member. He has also shown more focus with tasks/lessons at home. Victor seemed very proud of new skills and has proved to be a strong class leader. 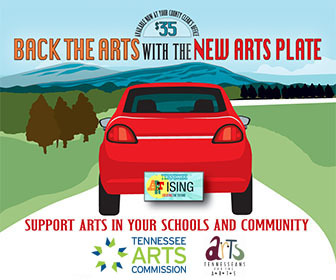 Funding provided by a grant through the VSA offices of the John F Kennedy Center for the Arts and the Tennessee Department of Education." We at the Shaking Ray Levi Society are deeply saddened by the passing of Dennis Palmer, SRLS co-founder and artistic director for over 26 years, on February 15, 2013. Chattanooga native Dennis Palmer, 55, was a beloved musician, visual artist, storyteller, educator, mentor, and devoted friend of many. A singular vocalist and nontraditional musician, called "the world's most colorfully inventive synthesizer player" by Creative Loafing, he co-founded the acclaimed free improvisation group The Shaking Ray Levis with drummer Bob Stagner in 1986, which was the first American band to record an album for the legendary British label Incus Records. Palmer has performed internationally with collaborators including Derek Bailey, Steve Beresford, Reverend Howard Finster, David Greenberger, Col. Bruce Hampton, Shelley Hirsch, Frank Pahl, Roger Turner, and Davey Williams. A leader in the arts community, Palmer promoted the ideas of improvisation and creativity in thought, performance, and visual art to students of all ages through his work with the Shaking Ray Levi Society and developed outreach programs for under-served populations including students with developmental, emotional, or physical disabilities. Palmer served as President of The Association for Visual Arts (AVA) and on the board of directors for Mark Making, and he taught art in Hamilton County schools. When teaching children, Dennis would ask them about the last time they had a good feeling. In his own words: "Clap your hands once and put your hands over your heart and give that good feeling to yourself. Next is to clap your hands again and sound off and give that feeling to everybody within the room. The third thing is to clap your hands, sound off and give that feeling out off to the whole universe." Dennis was an inspiration for many and a strong advocate of "living in the moment" and "doing the highest good for all" in the community and beyond. The Shaking Ray Levis are featured in the latest issue of Signal to Noise magazine (issue #64, Fall 2012), gracing the cover (photography by Bob Wright) and interviewed by Chad Radford in a fascinating and provocative article.